All SCOTTSDALE SHADOWS 2 D/P homes currently listed for sale in Scottsdale as of 04/25/2019 are shown below. You can change the search criteria at any time by pressing the 'Change Search' button below. 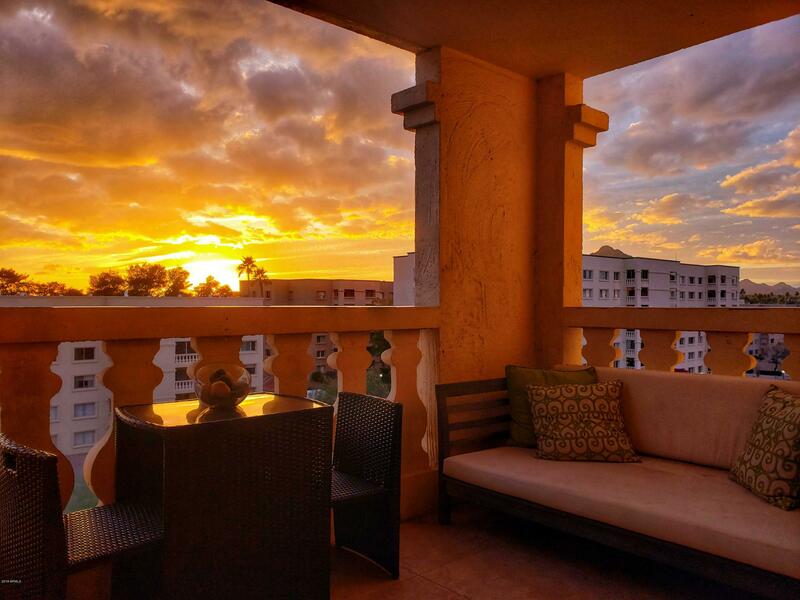 "Beautifully remodeled Penthouse w/ dramatic sunset views of Camelback & Papago Mtns from spacious tiled balcony. A short walk or bike ride to all of the great restaurants, bars, shopping and entertainment that Old Town Scottsdale has to offer. Custom kitchen cabinets, granite countertops, high-end LG appliances, dry bar. Baths incl. high-quality vanities w/ granite countertops. Moen faucets, upgraded light fixtures. 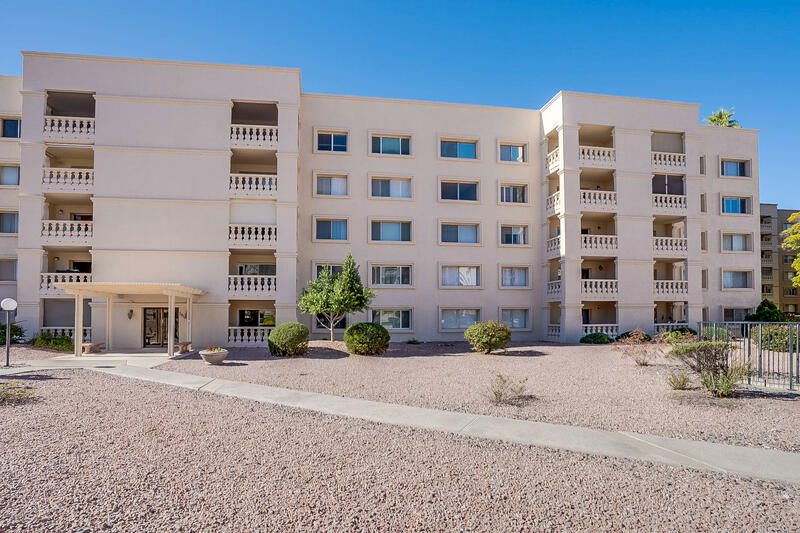 HOA includes water, sewer, trash, roof, insurance, A/C, 2 laundromats in bldg"
"Beautiful, move-in ready condo in Scottsdale! 2 Bed, 1.75 Baths with brand new wood tile floors and carpet throughout the house! Designer kitchen with all new shaker cabinets, quartz counters, tile backsplash, and stainless steel appliances. Freshly painted interior! Sparkling bathrooms with new vanities and toilets. Great floor plan with a large living area and a spacious patio. Come see this home today!" "6th Floor Penthouse Suite! Guard gated community! The perfect place to call home! Freshly updated with granite, newer cabinetry, and stainless steel appliances! Newer carpet and updated bathrooms! Every room has an unobstructed view of the pool! By far one of the best locations in the community. The community boasts resort amenities with its very own golf course, private tennis courts, 3 heated pools, spas, saunas, fitness center. Come enjoy all that Old Town Scottsdale has to offer! Enjoy Camel"
"Turnkey and fully furnished condo! Beautiful corner condo unit with excellent views of the golf course and Camelback Road. All the comforts you want including hardwood floors, carpeting, and tile throughout. The kitchen has been renovated with an open plan that has plenty of cabinets and counter spaces. The large living room looks onto the tiled screened in patio. The bedrooms are large with wall windows in each. The bathrooms have been upgraded and are lovely. The condo is completely furnishe"
"Located by Old Town Entertainment District steps from Spring Training and $1,000,000 condos. 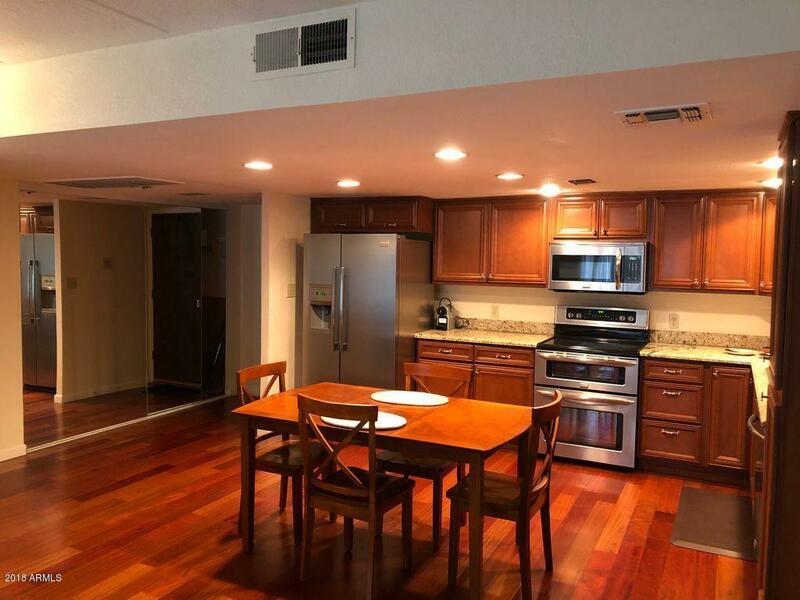 Beautifully renovated and remodeled 2 BR/2BA Condo in Scottsdale with private 9 Hole Golf Course in 24 Hour guard gated community. Upgraded with open floor plan in kitchen and living rooms. 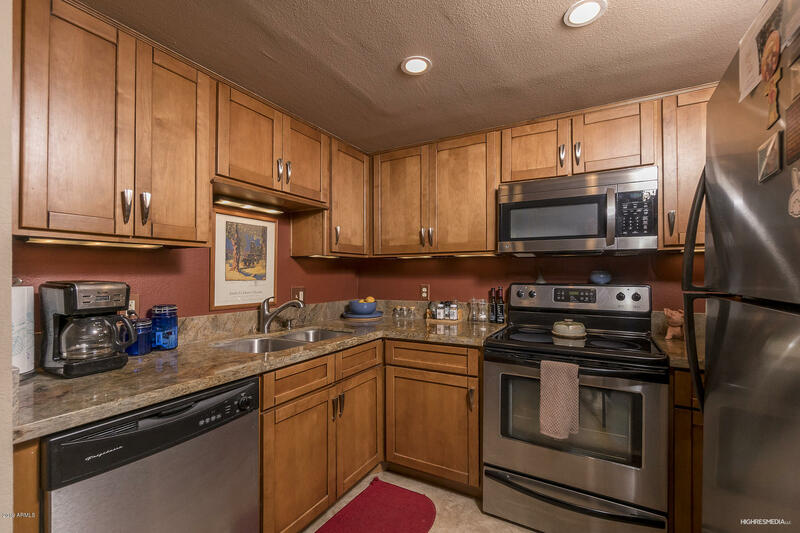 Beautiful granite counter tops, ash kitchen cabinets and new stainless steel appliances. Amazing tile floor and carpet throughout. The HOA includes air-conditioning, heating, water, trash, pest control and laundry."